The trip was nice and smooth, our tour guide is fun and speaks english very well! Step out of the bustling city of Bangkok and visit the nearby neighboring Pattaya City in this exciting day tour out and about under the sun. 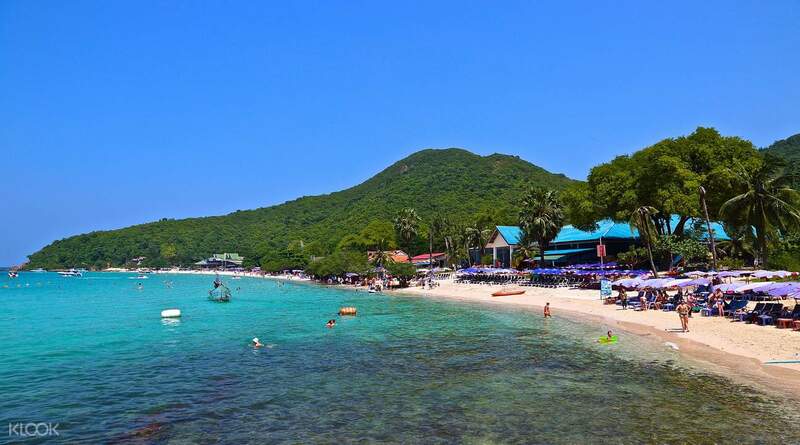 Your first stop is to Koh Larn, known in English as Coral Island, where you will have the entire afternoon to spend on the beach. A huge array of activities are available for your enjoyment at your own expense, from swimming to snorkeling and even jetskiing. Soak up the sun and the sea in the tropical waters to your heart's content. You’ll head back to Pattaya pier after your many hours of enjoyable beachside adventures, and finally return to Bangkok after this great change of scenery. 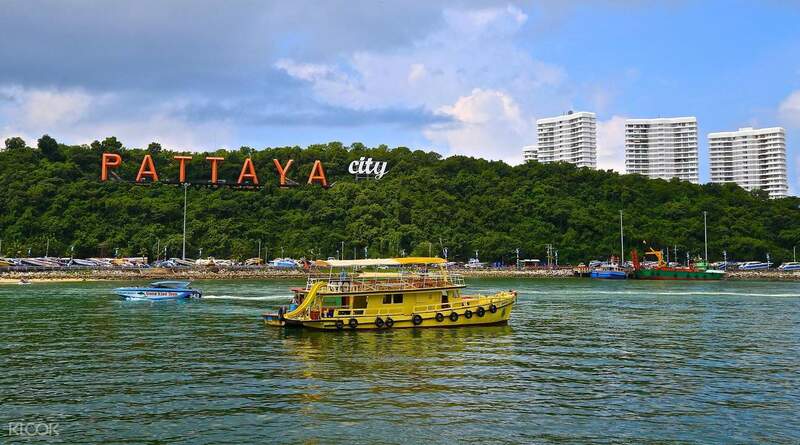 Explore the neighboring city of Pattaya, a welcome change from Bangkok's bustle! Good service, good tour guide and good driver. However, it's better if Klook spend 1 hour for customers to discover Pattaya by themselves when returning from Coral Island. Good service, good tour guide and good driver. However, it's better if Klook spend 1 hour for customers to discover Pattaya by themselves when returning from Coral Island. The tour guide was too busy playing her phone. Though she is politely, the only thing I remember about Pattaya is that it is the city of Night Life, which is true. There’s a detour to a Para-sailing stop on the way to Koh Larn and they charge 800 baht per pax. I do not recommend it, there’s better para-sailing option on Koh Larn at only 500-600 baht. The tour guide was too busy playing her phone. Though she is politely, the only thing I remember about Pattaya is that it is the city of Night Life, which is true. There’s a detour to a Para-sailing stop on the way to Koh Larn and they charge 800 baht per pax. I do not recommend it, there’s better para-sailing option on Koh Larn at only 500-600 baht. Pretty nice beach with lots of water activities and the transport arrangement was pretty spacious and good (one van to and fro pattaya and one boat ride). However the boat rides (20-30min per trip can be a little too exciting so prepare ur seasick pill if required). The beach was nice but very packed with tourists and the partnering agents were very pushy to get us to spend money to engage their services for the watersports. When no one in the group was interested, they even outrightly showed their displeasure. Thought this part could be improved when choosing the partner agents. Pretty nice beach with lots of water activities and the transport arrangement was pretty spacious and good (one van to and fro pattaya and one boat ride). However the boat rides (20-30min per trip can be a little too exciting so prepare ur seasick pill if required). The beach was nice but very packed with tourists and the partnering agents were very pushy to get us to spend money to engage their services for the watersports. When no one in the group was interested, they even outrightly showed their displeasure. Thought this part could be improved when choosing the partner agents. 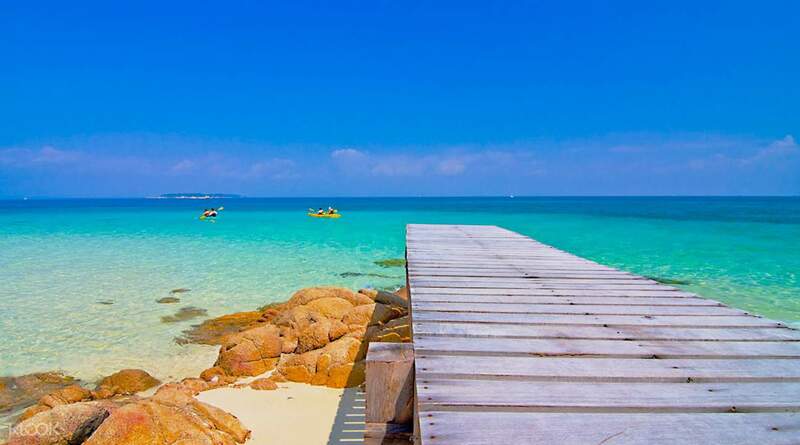 One hundred and twenty five kilometers southeast of Bangkok, a city named Pattaya is located. One way trip going to Pattaya takes two and a half hours so be prepared for the long trip. The van seats are very comfortable so you can relax while you’re in transit. The trip might be long but sure worth it because of the crystal clear water and white sand beach. There are a lot of tourists in the area who, like us, would like to see the beauty of Coral Island. One hundred and twenty five kilometers southeast of Bangkok, a city named Pattaya is located. One way trip going to Pattaya takes two and a half hours so be prepared for the long trip. The van seats are very comfortable so you can relax while you’re in transit. The trip might be long but sure worth it because of the crystal clear water and white sand beach. There are a lot of tourists in the area who, like us, would like to see the beauty of Coral Island. Beautiful island. tourist guide also friendly, helpful and easy to communicate. Beautiful island. tourist guide also friendly, helpful and easy to communicate. the activity was worth every penny. tour guide was really friendly. beach was ok, make sure to eat before going to the coral island because eveything is expensive. shopping area in pattaya ia very nice. the activity was worth every penny. tour guide was really friendly. beach was ok, make sure to eat before going to the coral island because eveything is expensive. shopping area in pattaya ia very nice. The tour was awesome! The tour guide was very friendly! The tour was awesome! The tour guide was very friendly! Jon was the best tour guide ever. He came early to the destination to greet and wait for us. He also stayed with us during the night and showed us the best places. We decided to stay in Pattaya and Jon was able to get us a hotel and guided us to how to get back to Bangkok. I highly recommend Jon. Jon was the best tour guide ever. He came early to the destination to greet and wait for us. He also stayed with us during the night and showed us the best places. We decided to stay in Pattaya and Jon was able to get us a hotel and guided us to how to get back to Bangkok. I highly recommend Jon. This tour was very fun. You get to do a lot at the island. Tour was nice although the stop to get food at the mall was not a good experience. This tour was very fun. You get to do a lot at the island. Tour was nice although the stop to get food at the mall was not a good experience.